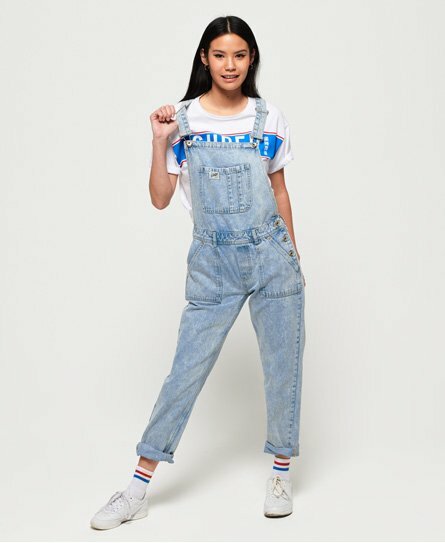 Superdry women's denim utility dungarees. A must have addition to your denim collection, these dungarees feature a brace buckle fastening, a side button fastening for ease and four pockets. The denim utility dungarees also feature a further pocket on the chest and have been completed with a logo patch on the chest and leather logo patch on the rear of the waistband. Layer with your favourite t-shirt to add some edge to your everyday style.